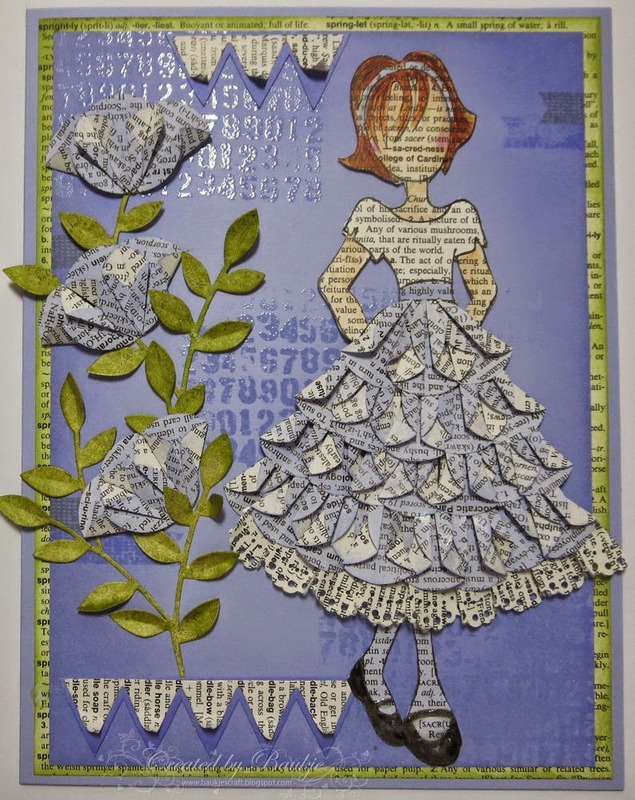 I have been wanting to make another dahlia fold dress for quite some time and have finally done so using a Prima Doll stamp that was a gift, some pages torn from an old book and ink and stamps to create the background. 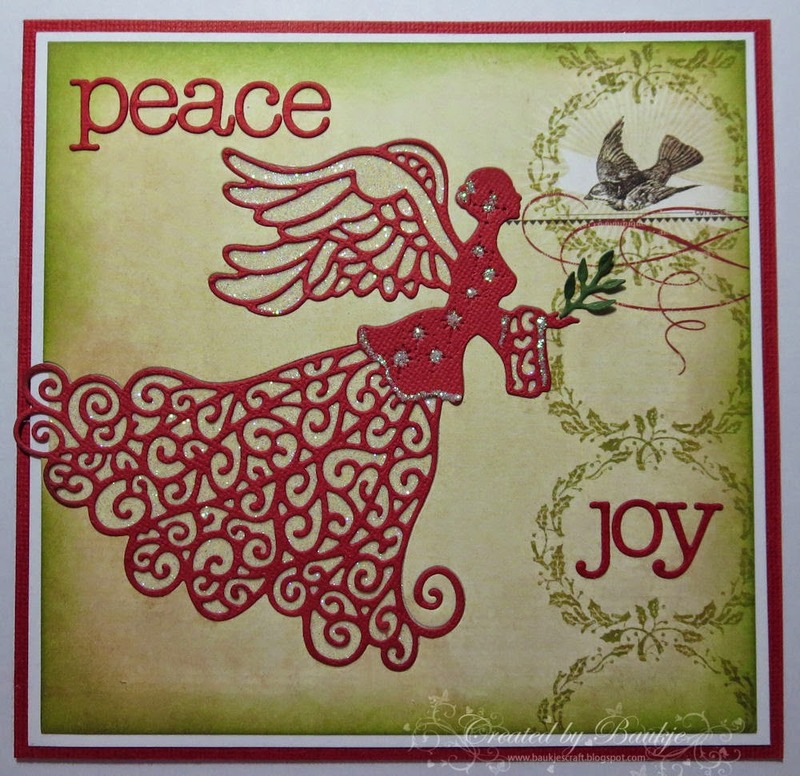 Hi, I've made a few cards with the lovely Sue Wilson Christmas Angel Die set. Which Kaaren has on special at the moment along with everything else in her on-line store until Midnight Friday. 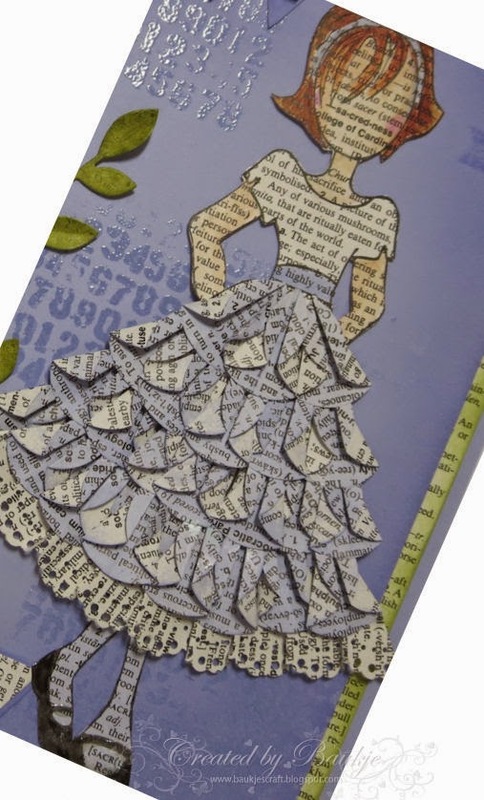 Hello Everyone, It's been a while, since my last post, we went a way for a couple of weeks to spend some much needed family time with children and grandchildren, plus my husband bought me a new sewing machine which I've been having fun playing with. 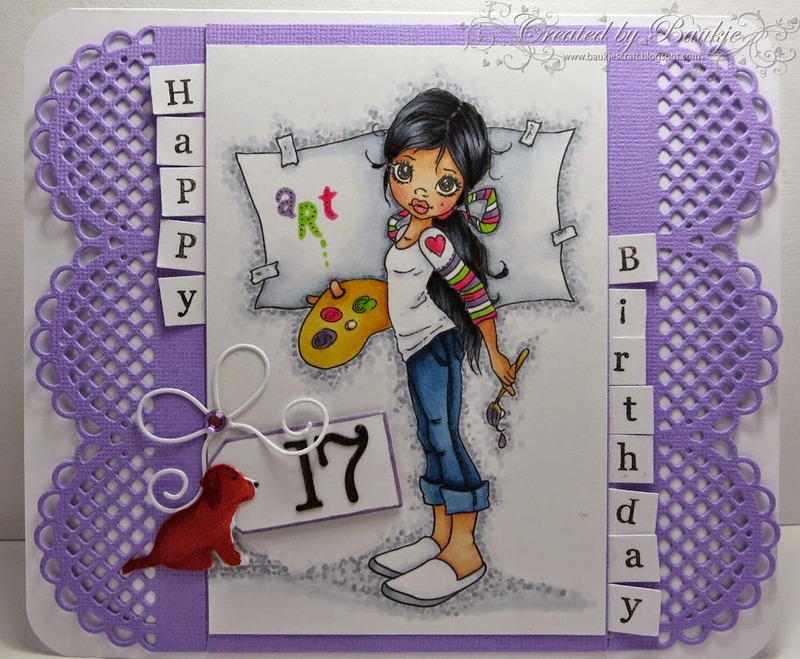 I have still been making cards for Fat Cats CardCorner's design team which you can see HERE. 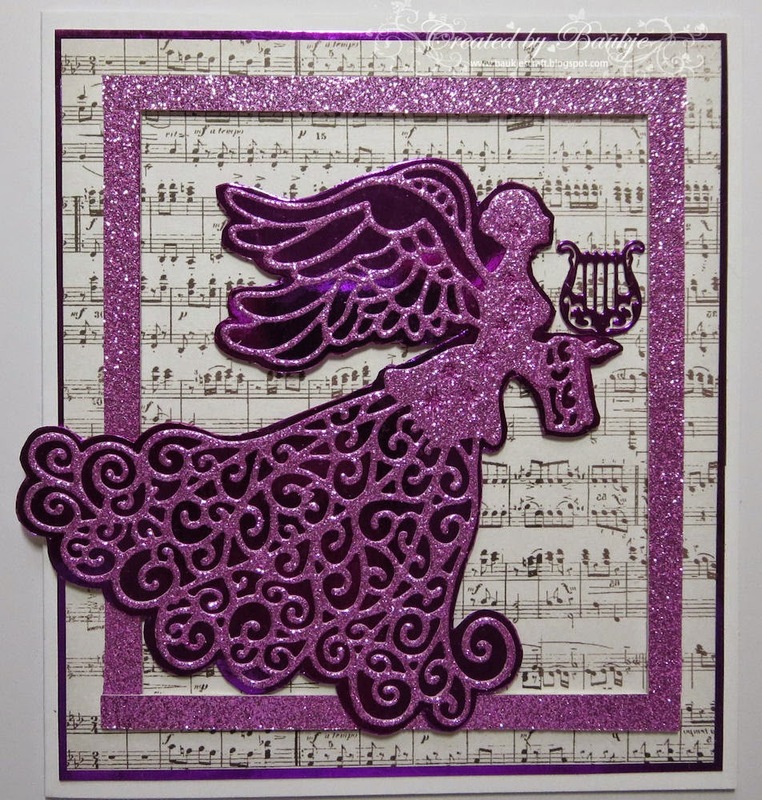 As well as cards needed for family and friends. This one below is one I made for our 17 year old grand daughter Chloe, the image is A New Canvas by Saturated Canary and I've coloured it with copics, the puppy is from the Impression obsession Puppies die set and is coloured to look like Chloe s King Charles Cavalier koda. 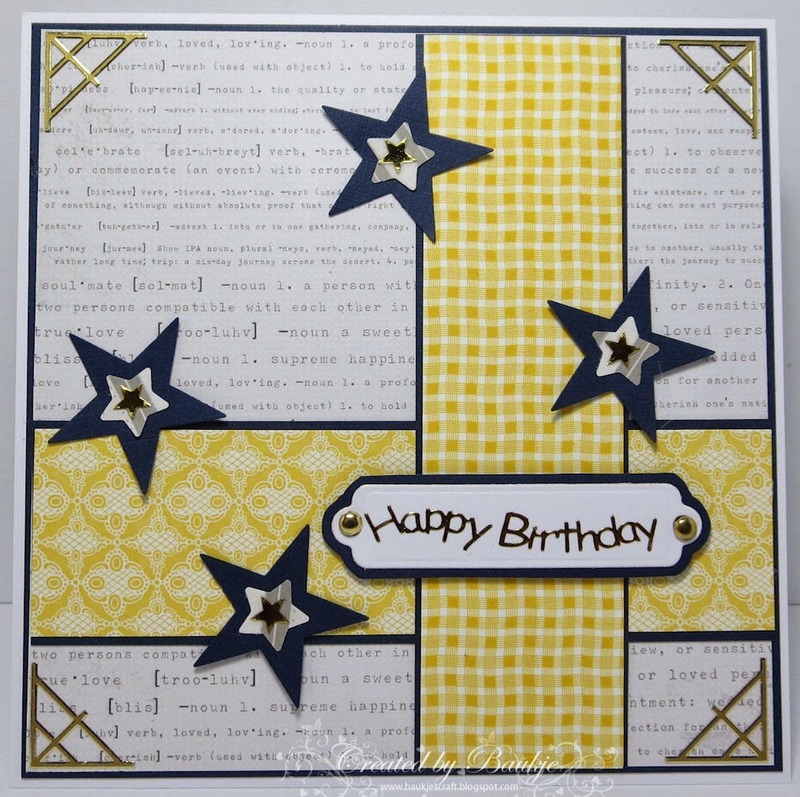 The borders are the Joy Crafts Scallop Lattice Border Die. 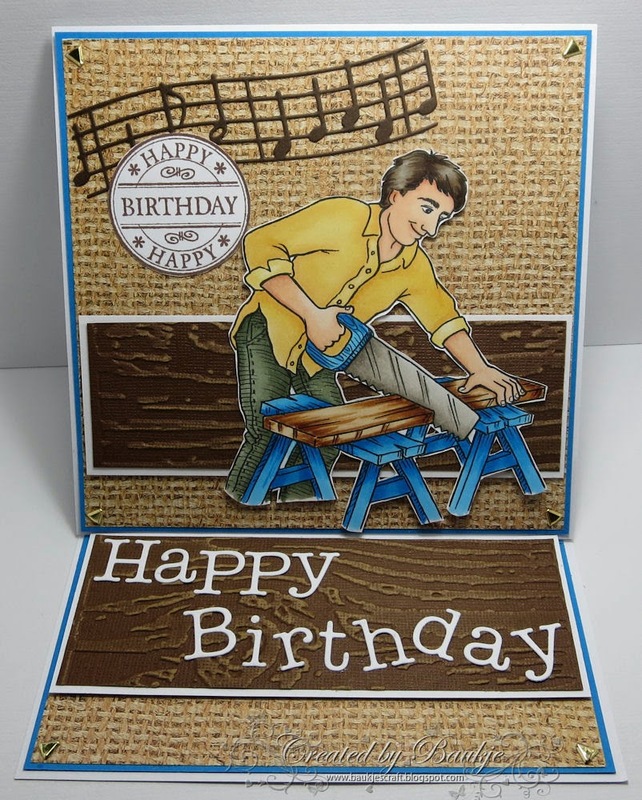 This next one is one I did for brother in law Bruce who makes amazing cabinetry and other things for their home, thus the Handy man image from Karen's doodles, the image had a plaid shirt but I took those lines out and coloured it with copics. 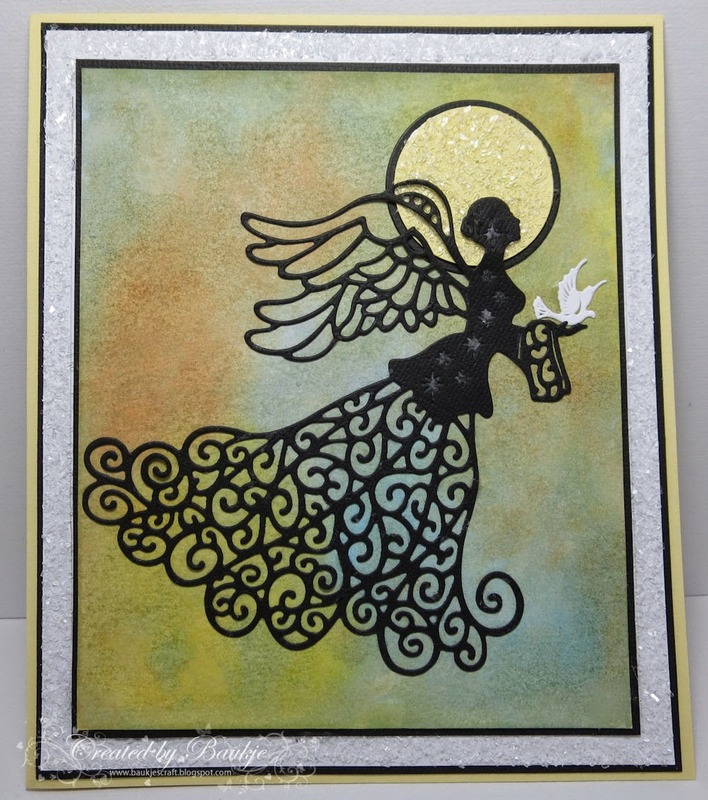 The embossing folder I used is the Sizzix - woodgrain, I embossed it on core cardstock and lightly sanded it. And this last one went to my Godson Callam in his favourite football teams colours.